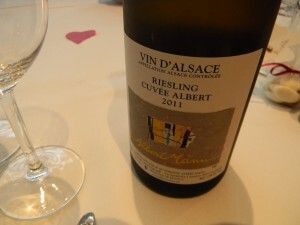 Albert Mann is one of the best domains in Alsace today. They make excellent crémant wine, pure and dry Rieslings, rich Pinot Gris, zesty Gewürztraminers and among the very best possible Pinot Noirs from Alsace today. So I was not surprised that their entry level Riesling, Albert Mann Cuvée Albert Riesling 2010, was being served at a friend’s wedding. 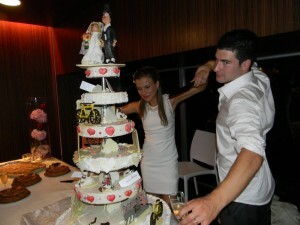 The 2010 vintage has fine acidity, and the wine was rich as well, but never sweet. It had a pure expression of white apricot and pear with grapefruit, very vivacious, and smooth. An excellent Riesling that hardly breaks anyone’s bank. It went very well with the first course – a plate of Lebanese style Mezedes, including pitas stuffed with cheese, meats and spinach, as well as salads and stuffed grape leaves other hors d’oeuvres. Then came a Louis Jadot Beaune Premier Cru 2004. I looked at the vintage thinking: “Oh no, this cannot possibly be good.” 2004 is not a vintage to seek in Burgundy, because most wines from the vintage – even grands crus – have a green streak. 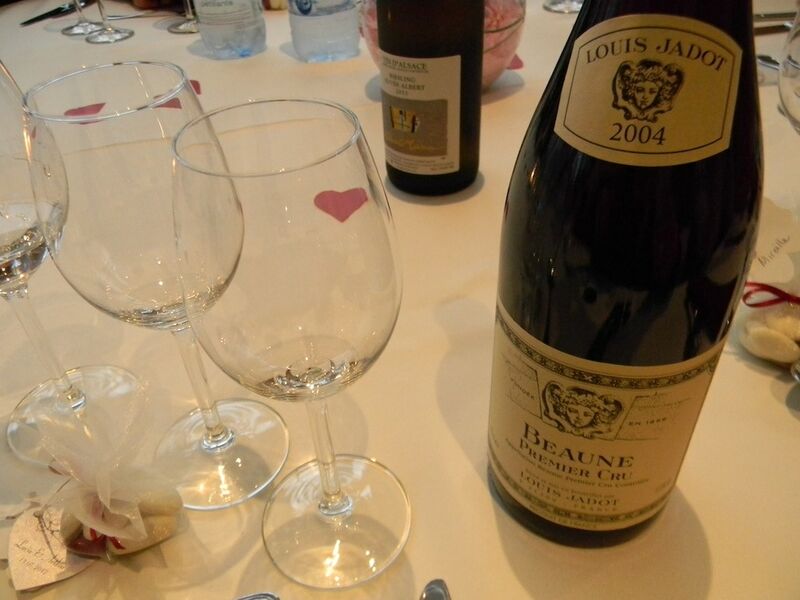 This wine, however, while not extraordinary, conveyed leafy earthiness with black cherry pit aromas and flavors, and most guests kept serving themselves as we went to the second course of lamb and chicken, Lebanese style. It was rich enough to match the rice, which was perfumed with citron and herbal flavors, as well as the meats. Special note to readers: I will be visiting Louis Jadot at the end of this month, in part to write a feature on director and winemaker Jacques Lardière who is retiring after some 40 years working with this grand maison. Look out for many tasting notes from that visit and an article in France Today. Holiday wine and food fireworks at Ripple in Washington D.C.